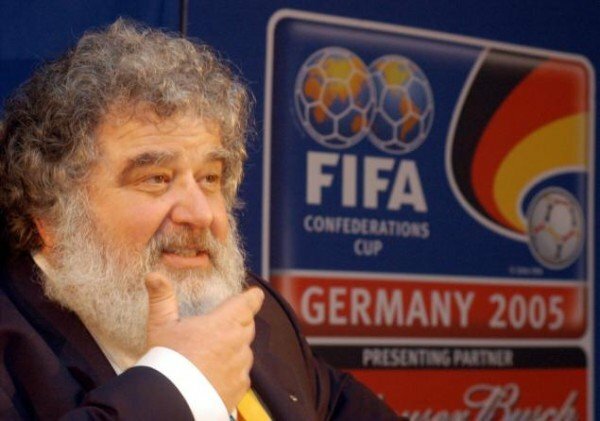 Chuck Blazer, the most senior American official at FIFA, has admitted that he and others on the executive committee agreed to accept bribes in conjunction with the choice of South Africa as 2010 World Cup host. Chuck Blazer said he also helped to arrange bribes over the 1998 event. The admissions come in a newly released transcript from a 2013 US hearing in which he pleads guilty to 10 charges. The US has launched a wide-ranging criminal case that engulfed FIFA and led President Sepp Blatter to resign. The US prosecutors last week indicted 14 people on charges of bribery, racketeering and money laundering. Four others had already been charged, including Chuck Blazer. The DoJ alleges they accepted bribes and kickbacks estimated at more than $150 million over a 24-year period. Seven of the 14 were top FIFA officials who were arrested in Zurich, Switzerland, as they awaited the FIFA congress. Two were vice-presidents. The details of Chuck Blazer’s guilty pleas came as prosecutors unsealed the transcript of the 2013 hearing in the Eastern New York District Court. The admissions are part of a sentencing deal with prosecutors. Chuck Blazer, 70, was the second highest official in FIFA’s North and Central American and Caribbean region (CONCACAF) from 1990 to 2011 and also served on FIFA’s executive committee between 1997 and 2013. In the transcript, prosecutors refer to FIFA “and its membership or constituent organization” as a RICO enterprise – a Racketeering Influenced Corrupt Organization. On June 3, South Africa denied paying a $10 million bribe to secure the hosting of the 2010 event. Other admissions among the 10 charges in the 40-page dossier include US tax evasion. Federal agents investigating the tax evasion had detained Chuck Blazer and he agreed to co-operate in the US investigations. He is said to have agreed to record his colleagues using a microphone hidden in a keychain. Chuck Blazer is said to be seriously ill, suffering from colon cancer. In addition to the US case, Swiss authorities have launched a criminal investigation into how the 2018 and 2022 World Cups were allocated. Qatar has said there is no way it will be stripped of the right to host the 2022 World Cup despite the corruption probe. Foreign minister Khaled al Attiyah dismissed what he called “a bashing campaign” as anti-Arab prejudice and said Qatar was confident it could prove there had been no wrongdoing in its selection. In another development, former FIFA vice-president Jack Warner made a televised address in Trinidad on June 3 in which he said he could link FIFA officials to the 2010 election in Trinidad and Tobago. Jack Warner has been indicted by the US with corruption, a charge he strongly denies. On June 3, FIFA President Sepp Blatter was given a 10-minute standing ovation by some 400 staff as he returned to FIFA’s Zurich headquarters a day after announcing he was to step down. Reportedly close to tears, Sepp Blatter urged his “fantastic team” to “stay strong”.